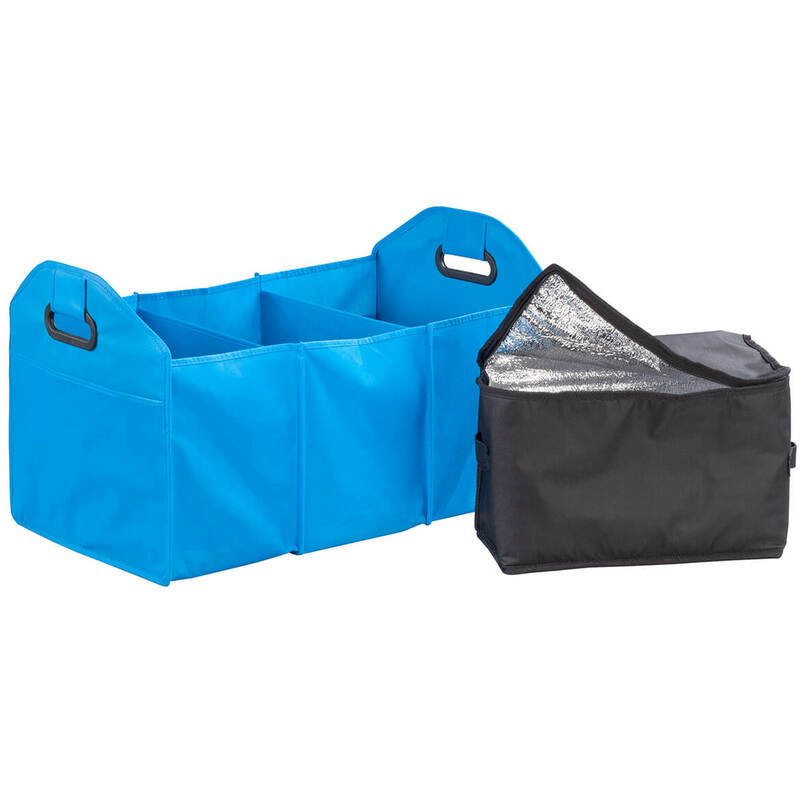 I bought this to organize things I carried in the back of my small SUV. Also, to keep those things from "flying" around while driving. It's compact but holds a lot. It has handles on each side, so it can be moved around and picked up. It's great that it doesn't take up a lot of room. The cooler is a plus! Glad I purchased this. A friend has one and it helps to keep her trunk neat and organized. 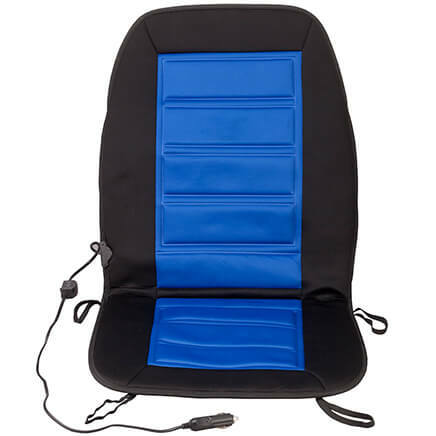 It's also great to have a cooler in the trunk for those unexpected purchases that need to stay cold! Can't find the candy items in the stores anymore. Tired of my trunk not being organized and I have a porch duck that I didn't have an outfit for Thanksgiving. 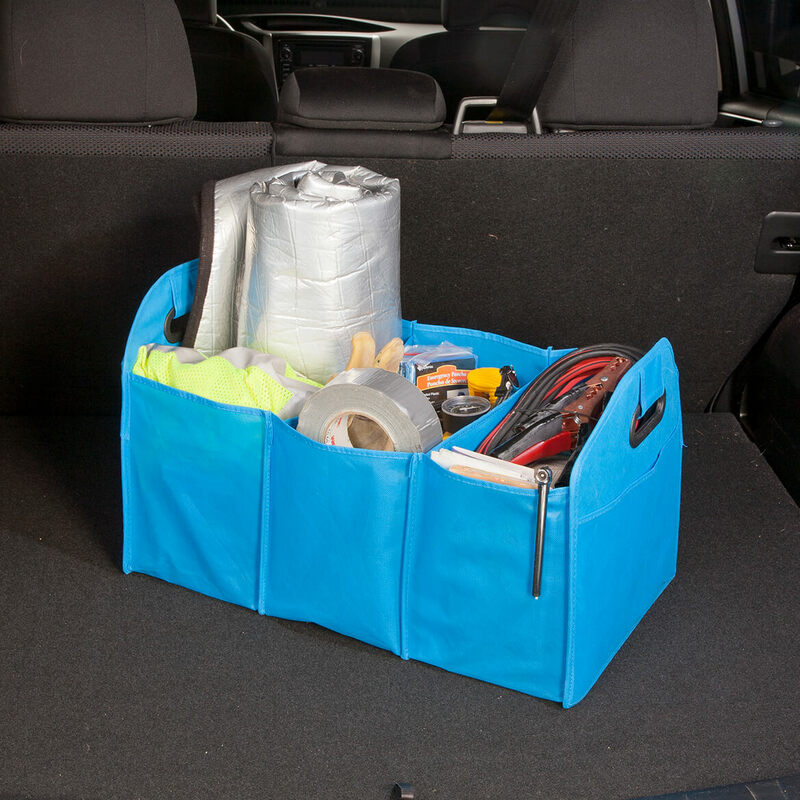 My daughter needs this to keep things organized in her trunk. it if perfect for my SUV, and will make my shopping easier. Keep things in trunk from moving all over. I have a smaller unit that is similar and it is really handy. I also liked the idea of a separate cooler. Need it and love color turquoise. Need to keep groceries bags from sliding around and spilling out. I need an organizer for my SUV and I love the color. Need something to organize things in the back of my SUV. It is smaller than I thought it would be but I think it will work. It will definitely keep things from flying around the back when I'm driving. Good space saver and keeps everything from going all over the place. Helps keep items from rolling around trunk. Nice for road and travel emergency items. Handy accessory for shopping, travl ball excursions with grandkids, etc. We travel a lot and need an organizer for inside the car. I need something for loose items in my vehicle. This item looks like a good solution. I ordered for others who would appreciate the item. Looking forward to using it. I bought this for an inexpensive closet organizer. The size will work perfectly for my needs. The Cooler is for the beach. My car trunk doesn't have a net and bags fall over and items fall out. we have a mini van and things often get messy with no organizing, this will help with cd's and blankets and such. 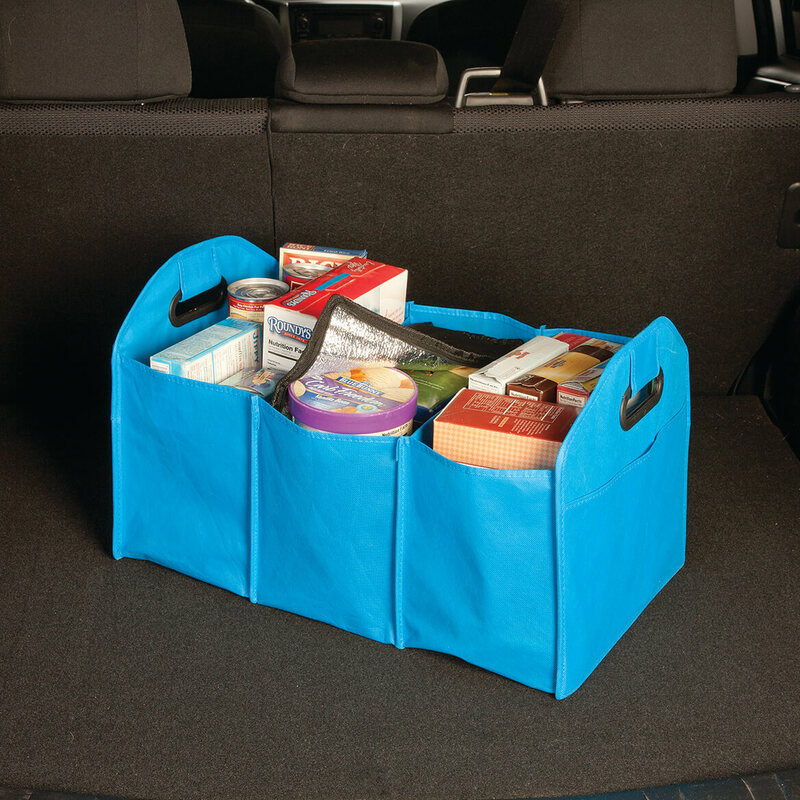 to help keep groceries from flying around the back of my SUV + help keep cold items cold. my trunk is always a mess with things sliding around, so time to get it neat and tidy! To keep my purchases from rolling around in the back of my car. Good price; been wanting one. Looks like it would be very beneficial to have in my car. I find this very convenient for my car trunk. When I get home I carry all my shopping bags together inside the organizer. 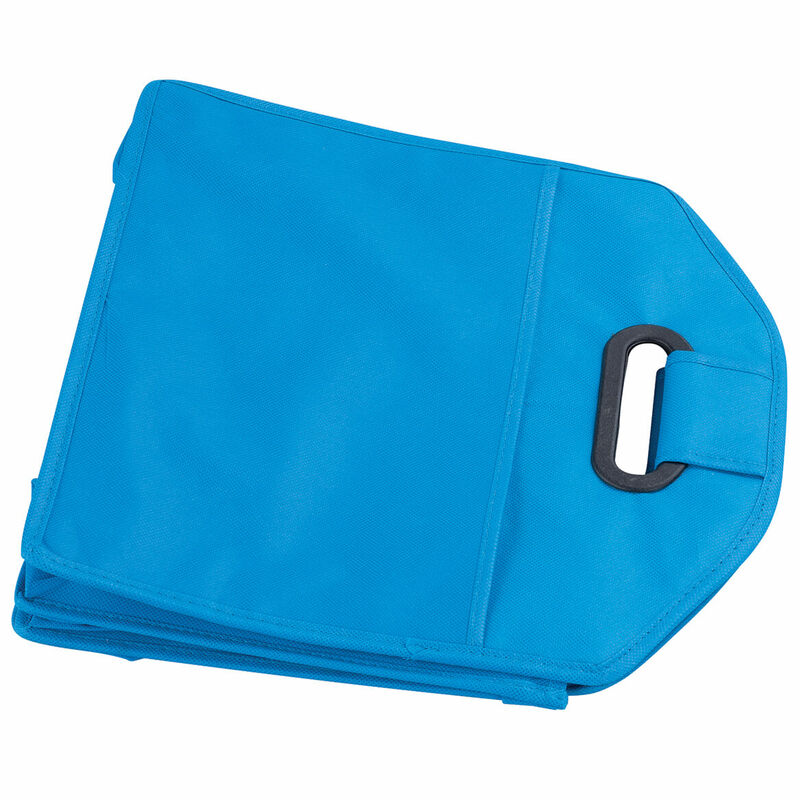 Does the organizer fold up when not in use? BEST ANSWER: Thank you for your question. Yes it can be folded up when not in use. We hope this information will be of help to you. Yes it does fold up. Actually it is shipped folded up. Yes. It is very handy.